Flaunting a trendsetting silhouette, the Soletren swivel accent chair puts the contemporary in your contemporary home. 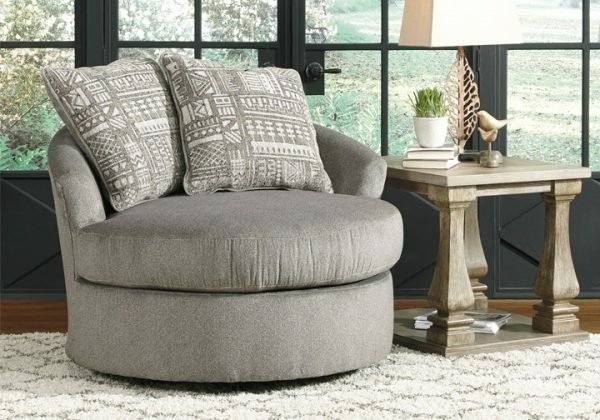 Its 360-degree swivel gives you an around-the-room view to complement your comfort. Microfiber fabric satisfies your need for a piece that feels as good as it looks. Accented with soft jacquard chenille throw pillows for a splash of geometric pattern and color contrast.